I came across this in my old photos the other day. Our first tent trailer, the Palamino, was so trashed that the canvass was literally held together with duct tape. We didn’t actually call it the Duct Tape Palace until AFTER we gave it away to charity. Seeing this old photo of it, though, made me miss it a bit. 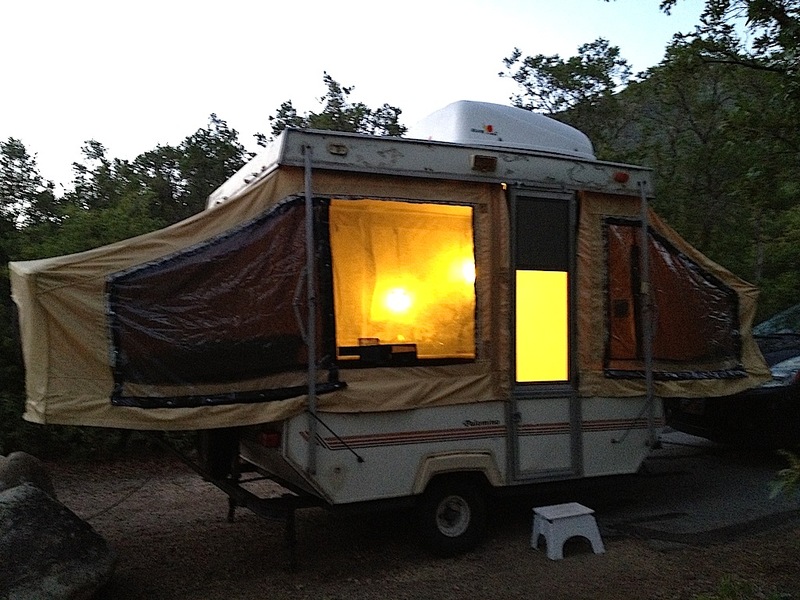 This photo was taken on our maiden voyage of that camper at Wasatch State Park, before any duct tape was employed to keep the windows closed. It was a very good introductory camper that taught us that we really did like camping in a tent trailer. It made the cost of the Jayco that we have now seem worth it. I don’t miss the Duct Tape Palace, but I’m sure glad we had it for as long as we did. Totally worth the $300 we paid for it!